I had a little time yesterday, so I decided to look through some challenges over at Feline Playful. Lots of times it's just a challenge for me to put two challenges together and do it in a timely manner. I am a putzy crafter, you know! 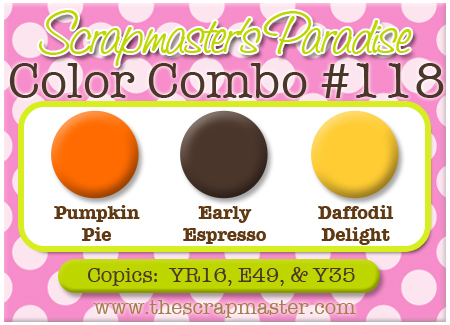 I put two challenges together - Card Patterns sketch and the Scrapmaster's Paradise Color Challenge. I made little tiny flowers using the Art Philosophy cartridge, and bunched them around the oval. Fun, fun card sketch, and I am sure I'll use it again! This card is so gorgeous! I am in love! this is gorgeous, I adore the newsprint paper flowers...hope you have a super weekend! THIS is positively BEAUTIFUL!!! 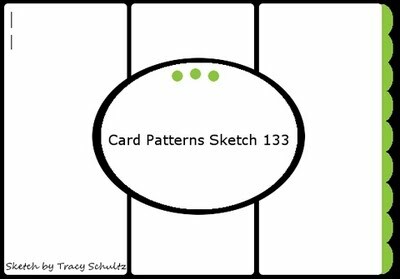 THANK YOU sooooo much, for sharing your WONDERFUL inspiration with Card Patterns! We love having your participation! Yeee HaW!